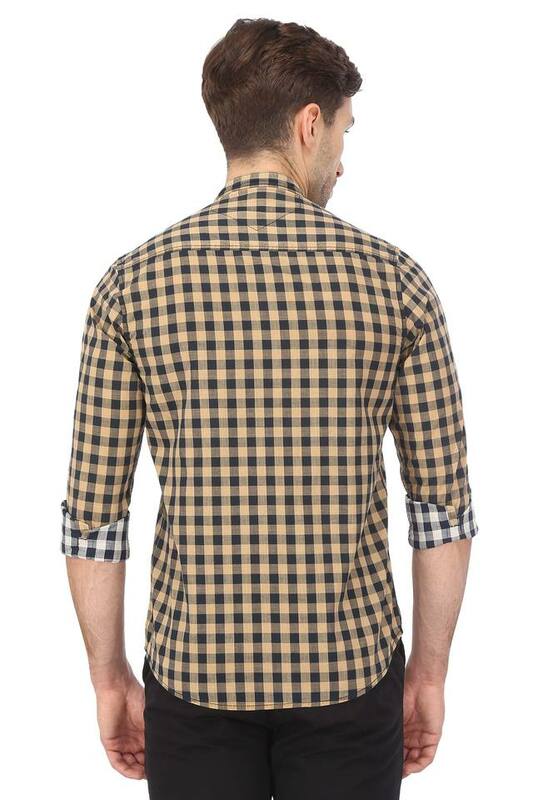 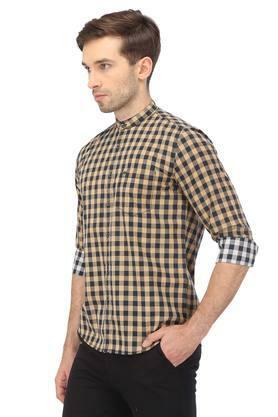 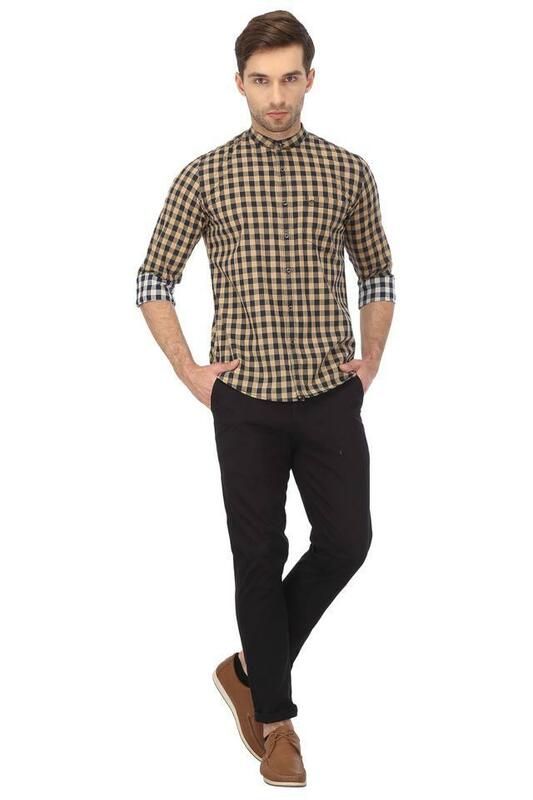 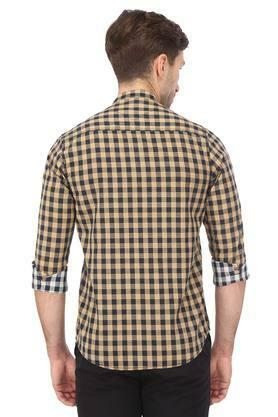 Revamp your clothing collection with this shirt from the house of Lee Cooper. Made from good quality fabric, this shirt stays extremely soft against the skin. 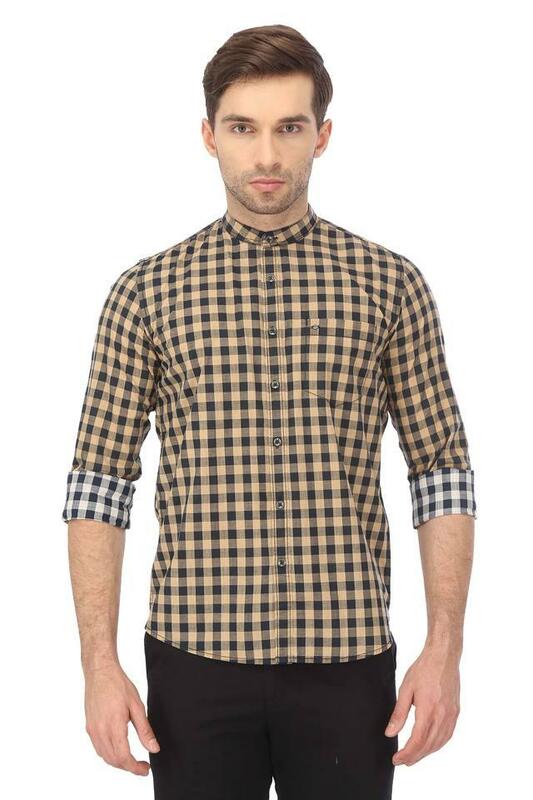 In addition, it features a classic mandarin collar, checked pattern and full sleeves giving it a bold structure.